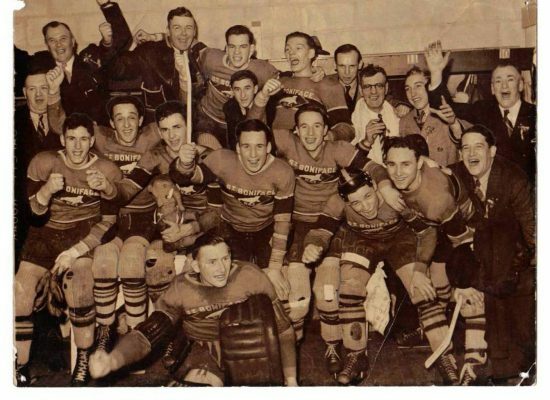 The 1937/38 St. Boniface Seals beat the defending National Champion Winnipeg Monarchs to claim the Manitoba Junior Hockey League championship and the Turnbull Memorial Cup. Advancing to play the Thunder Bay champion Port Arthur West Ends, the Seals took the best-of-three in two straight games. Meeting the Edmonton Flyers for a best-of-five Abbot Cup final series, the Seals took games one (7-3) and two (8-3) before the Flyers got untracked to win game three (3-1). The Seals claimed the Western Junior title with a 6-5 victory. The Seals would face the Oshawa Generals for the Memorial Cup championship. Falling behind in the series 2-1, the Seals forced a deciding Game five when they overcame a 3-1 deficit with 12 minutes to go in Game four and claim a 6-4 win. 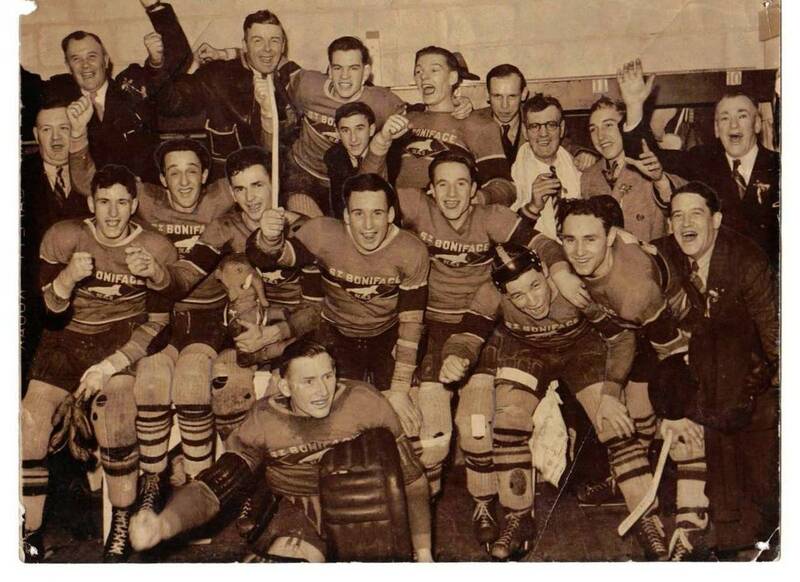 Team Roster: Fred Barker, Herb Burron, Pete Couture, Fred Yedon, J. Crawford, George Gordon, Herm Gruhm, Ed Haverstock, Bert Janke, Mike Kryschuk, Bill McGregor, Jack Messett, Cliff Murchison Jr., Cliff Murchison Sr., Frank Nicol, Gil Paulley, Billy Reay, Doc Roy, Geo. Schettler, Wally Stanowski, Jack Simpson, Doug Webb.